WPV provides products and services to improve and maintain your employees’ physical and mental health. This leads to improved engagement. We understand the pressure to improve the bottom line and enhance your competitive position. You need to increase the productivity of your workforce, lower costs, and achieve a better return. Our software is designed to give you a complete snapshot of your organization. Not sure what to do with your risk assessment report? One of our trained consultants will go through the report with you to help you understand your report and help you implement changes so that you can build a safe, compliant and productive workplace. They will go over the report with you and help you create an implementable action plan based on the results of the assessment. We work with your organization to establish a standard for complaints. 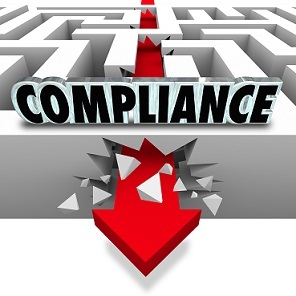 Using your company’s zero tolerance policy, we are able to screen complaints to ensure that they are handled properly. As part of this package, we also provide you and your staff with tools to help understand the difference between harassment and management. We also provide tools to help individuals measure their performance. There are tools on what to do in case of attacks by customers, patients or co-workers. These tools can be continually updated and customized to meet the needs of your organization. WHMIS, workplace violence, and basic health and safety training are available. We also can keep records to prove that your staff have passed each required course. We can provide your organization with all of the courses that are mandated under law for organizations to implement, along with tests to prove completion. Our LMS is an online tool that offers a range of e-learning courses. All mandatory training courses are on the system with tests. We keep the records for you, through our LMS, of course completion if you get audited or need it for legal action. In addition, we have a zero tolerance policy statement on the LMS that tracks that all staff have read and understand the policy. We offer complete secure storage of all incidences and assessments on our secure servers. Our servers, are located in Canada. We can easily access all documentation you may need for either legal or regulatory actions.